October 2014 – The winning projects of an architectural bidding process for a new “Swiss Cardiovascular Center” and “Interdisciplinary Organ Center” at University Hospital of Bern (Inselspital) were presented to the media in a press conference. The jury pointed out that the winning teams, both architectural companies from Switzerland, focused on good use of natural light, easy orientation for patients, and flexibility. The new buildings will be ready to move in by 2018 (one part of the Interdisciplinary Organ Center) and in 2020 (Cardiovascular Center). 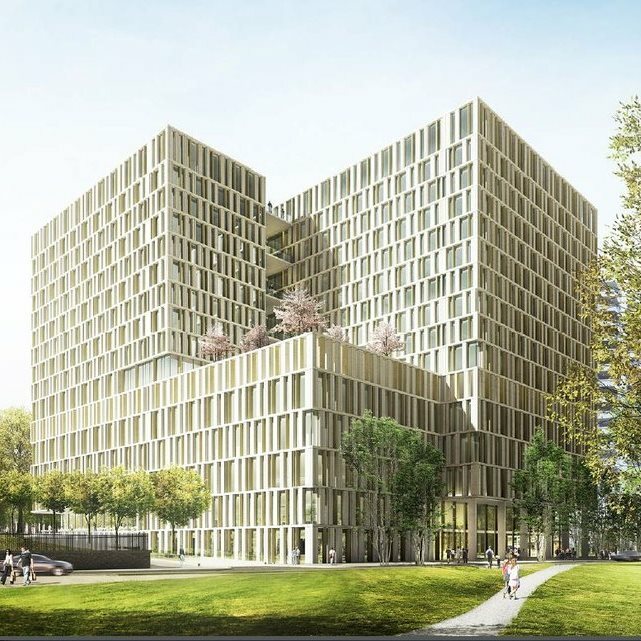 Both projects have been planned in the context of Inselspitals´ “Master Plan” which structures all changes of the University Hospital until 2060. MMI and its planning team have created the medical concepts, which are the basis for the architectural bidding and they will accompany the realization of both projects. MMI advises the University Hospital of Bern in medical and strategic issues. The total costs of the projects will be about € 200 Mio. for the Interdisciplinary Organ Center and € 360 Mio. for the Cardiovascular Center.